Sometimes it is very telling concerning a player's future when their team does its best to trade you all throughout the winter but fails to do so. That is exactly what took place with Andrew McCutchen and the Pittsburgh Pirates from the end of the 2016 season all the way through the start of spring training, with the club engaging multiple teams in trade talks that never got to a completion stage. So with spring training now a full week underway, it looks like McCutchen will be with the Pirates to begin the new season and so now is a good time to revisit what was a very ugly and disturbing 2016 campaign that began all the trade talk in the first place. Taking a quick trip down memory lane, it was only just a few years ago when McCutchen was a slam dunk mid-first round pick in all fantasy baseball drafts as his as he established himself as a five-tool superstar that led to an MVP award and being in the running for two others. From 2011 through 2014, McCutchen went 20/20 in the home runs and stolen base categories, while also batting .300 or better on a near yearly basis. Alas some leakage began to take place with McCutchen in 2015 when he hit a solid 23 home runs but saw the stolen bases sink to just 11. The .292 average was typical though and so many in the fantasy baseball community chalked up the drop in steals to some nagginb injuries McCutchen was dealing with. Well fast forward to 2016 and what we saw was a terrible year no matter where you looked when it came to McCutchen. While he did hit a very good 24 home runs, he stole just 6 bases and batted a pathetic career-worst .256. 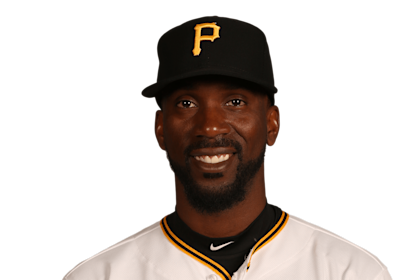 McCutchen also sank to just 79 RBI and 81 runs scored while posting a career-worst K/9 rate of 21.2; the latter number serving as the first time he went over he 20.0 mark. Yes McCutchen dealt with some more injuries but it was telling both that the Pirates tried to trade their former MVP and that no team completed a deal for him. In digging into the numbers a bit more, the drop in steals is telling and quite stark for McCutchen. Now at the age of 30, McCutchen very well could be past his running days as that is the age when speed really starts to slip. Thus it really is no shock that McCutchen has declined in the stolen base department but at the very least it removes him firmly from the five-category fraternity and thus takes him out of first and second round fantasy baseball draft territory. His defensive metrics were a career-worst as well which again shows how the speed is leaving the station here. So when grading McCutchen moving forward, take out the stolen bases from your outlook. In addition to the lost speed, McCutchen was whiffing more than ever as his 21.1 K/9 rate was a career-worst as we noted. McCutchen was chasing and late on the fastball like never before and that could mean the average is going to start becoming a problem. Also concerning the average, the loss of speed from McCutchen means he won't be able to beat the BABIP curve like most speedsters do and so again a hit to the average is likely. On the plus side, McCutchen still has his power as he swatted 24 home runs and in the middle of the Pittsburgh lineup, he should pass the 80 mark in runs and RBI. If he hits .275 and swiped 10 bags, then McCutchen will be an outfielder 2. This is a very tough call here though as McCutchen is still young at the age of 30 but the metrics are suggesting bad things ahead. When it comes down to it, we would try and salvage McCutchen as a buy low but ONLY if he is your second outfielder and not the first one on your squad at the draft.